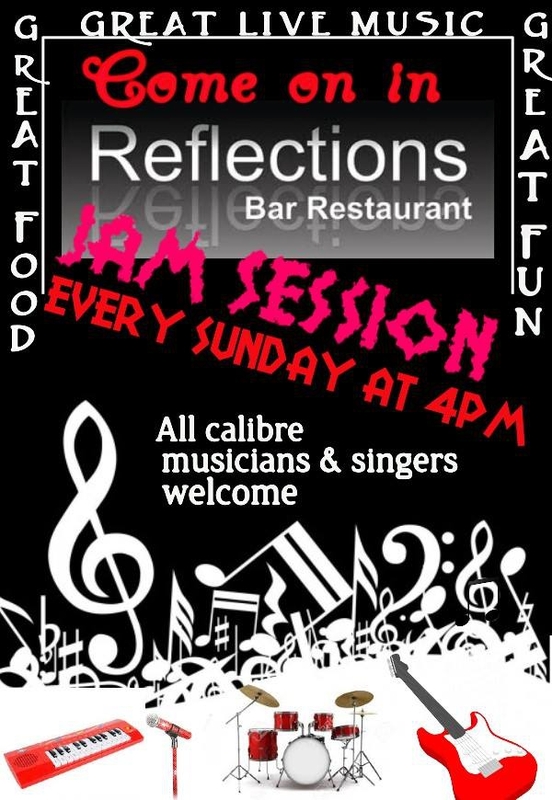 Reflections in San Luis, 4pm every Sunday, is home to the Jam Session, welcoming musicians, singers and supporters from all over the world. There's a new line-up of musicians for the resident backing band. Frankie Jones, exceptionlly talented keyboard player and vocalist, Mike Andrew on guitar, rhythm, bass and vocals and loyal drummer Mick the Stix. with Hughie Collins on rhythm, bass and vocals. You can bring your own instrument or use any instrument and equipment used by our band. So just turn up, declare your interest in performing to Norma, and just have fun.